The H-SAF generates and archives high-quality data sets and products for operational hydrological applications starting from the acquisition and processing of data from Earth observation satellites in geostationary and polar orbits operated both by EUMETSAT and other satellite organization. The retrieval of products uses data from microwave and infrared instruments and aims at reaching the best possible accuracy compatible with satellite systems as available today or in the near future. H-SAF applications fit with the objectives of other European and international programmes (including GMES) with special relevance to those initiatives which want to mitigate hazards and natural disasters such as flash floods, forest fires, landslides and drought conditions, and improve water management. 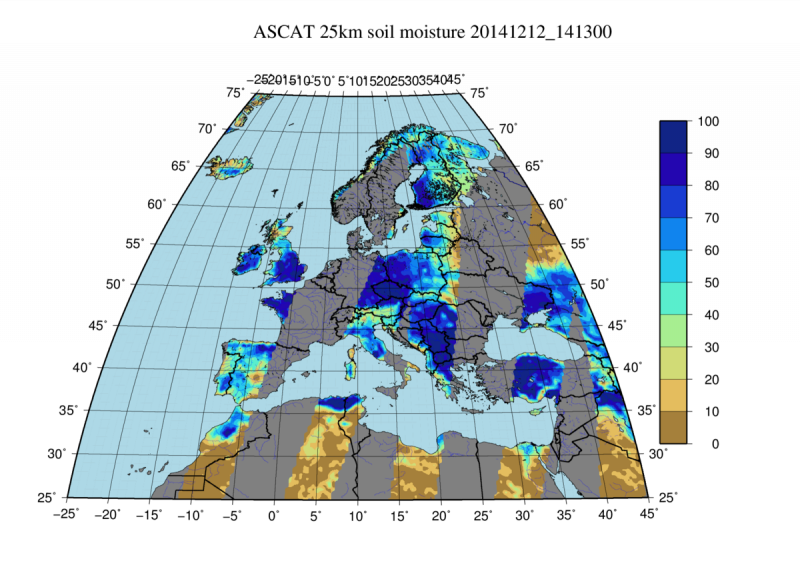 assessment of the impact of the new satellite-derived products on hydrological applications. The precipitation estimates are obtained by the application of retrieval and blending algorithms to the data obtained through a constellation of microwave and infrared satellites. 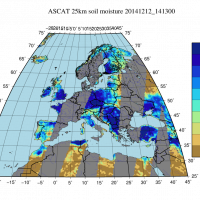 The soil moisture data are obtained through the Advanced Scatterometer (ASCAT) data and through land data assimilation system (provided by ECMWF). The snow products are obtained by applying a thresholding method to the brilliance temperature recorder by the infrared sensors. H13: Snow water equivalent by microwave radiometry. IRPI-CNR is involved in the project as Key science body and validation team member.